Individualization is one of the major promises industry makes us. Products are mass-manufactured – but to match personal wishes. The auto industry has long since set out along this path, and the interior design sector is hoping that technologies such as 3D printing will help it do the same. 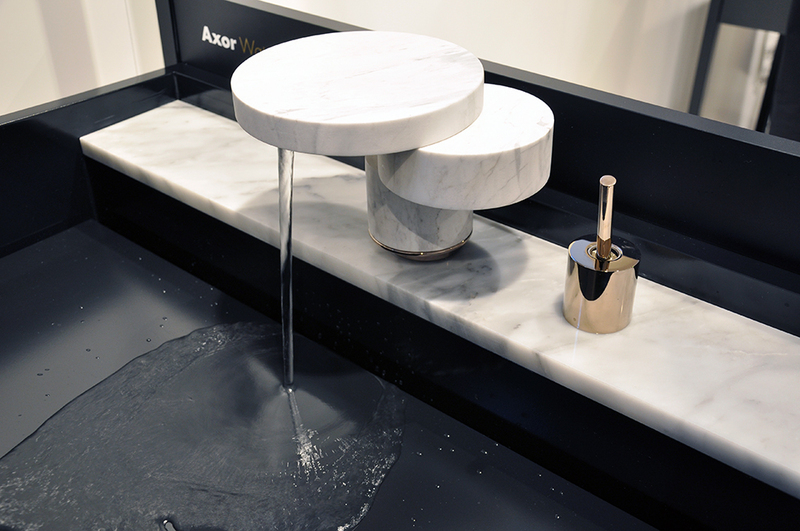 Axor has already gone further – with its “U-Base”; the brand has just demonstrated the full range of what this universal mixer battery base at the wash basin makes possible with its “Axor Waterdream – Create your own Spout” project at the Salone del Mobile 2016. Among the dreamers were David Adjaye, Jean-Marie Massaud, GamFratesi, Werner Aisslinger and Front. There are all manner of variations: As if in the base of a fountain, the water bubbles upward. Or a thin stream splashes happily from a wooden spout. A broad jet squirts out from under a stone and pours into the basin. Two brass bowls form a cascade. Invisibly the jet emerges from a pane of marble. Five spouts, five different ways of designing and staging the essentially everyday process of “water flowing into a wash basin”. Five quite different prototypes by architects and designers who were commissioned to simply come up with anything but usual ideas for Axor’s “U-Base” battery base, fully ignoring all market requirements. 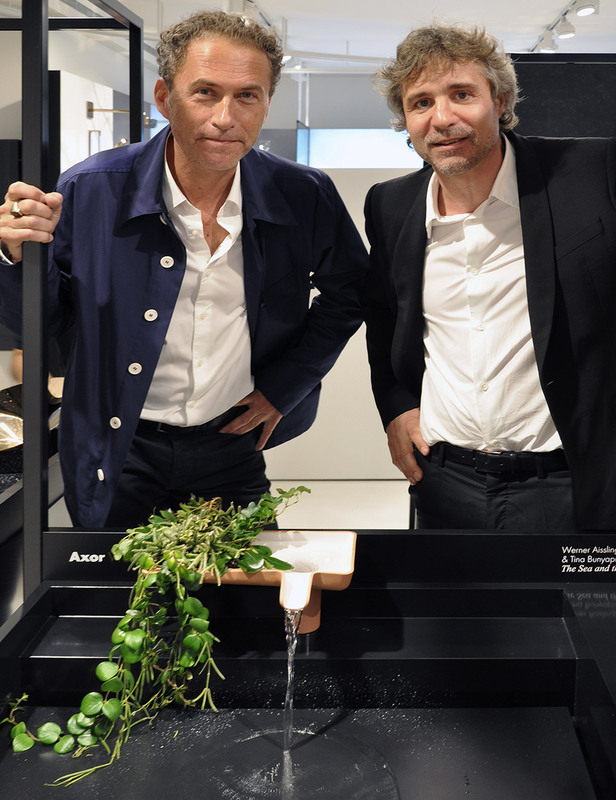 “It was one of our dreams,” says Vice President Design Management of Hansgrohe SE Philippe Grohe at the presentation in Milan’s Axor Showroom. “The bathroom is changing, away from a space only for hygiene. In the form of this project we are closing the gap between the fixer battery and the interior.” The industrially manufactured base, guaranteeing comfort and safety, for the first time affords a basis for a personal, carefully crafted mixer battery spout that simply slots into place. 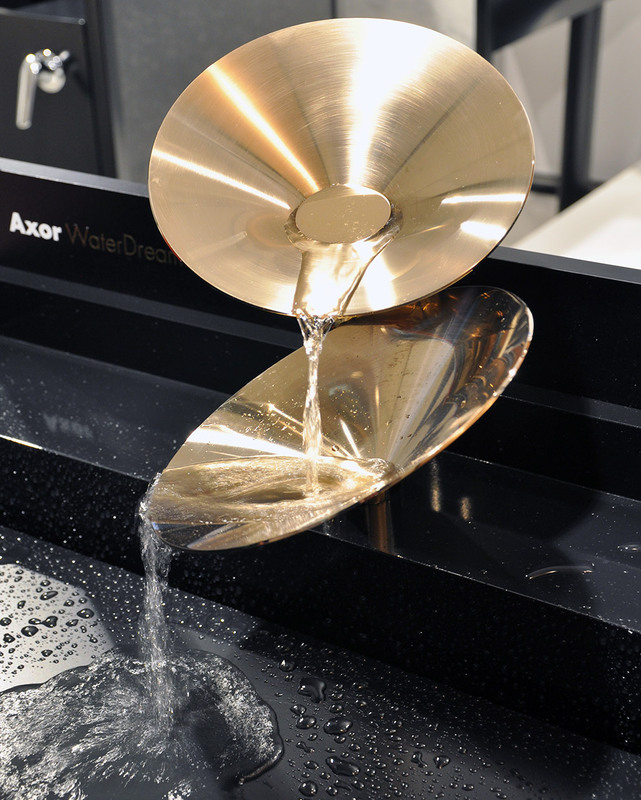 In this way, Axor is accessing a new market, as architects and interior designers love to use self-created products in their projects. 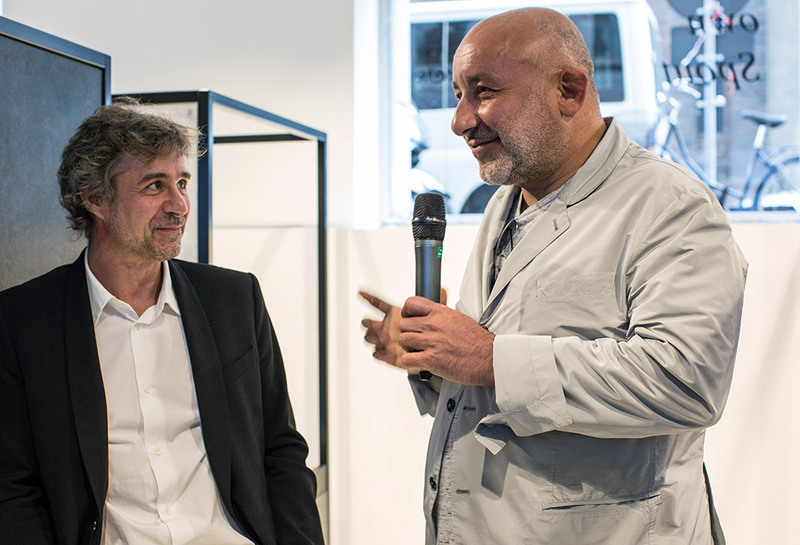 “The U-Base is fantastic,” enthuses Enrico Fratesi of Danish designer duo GamFratesi. 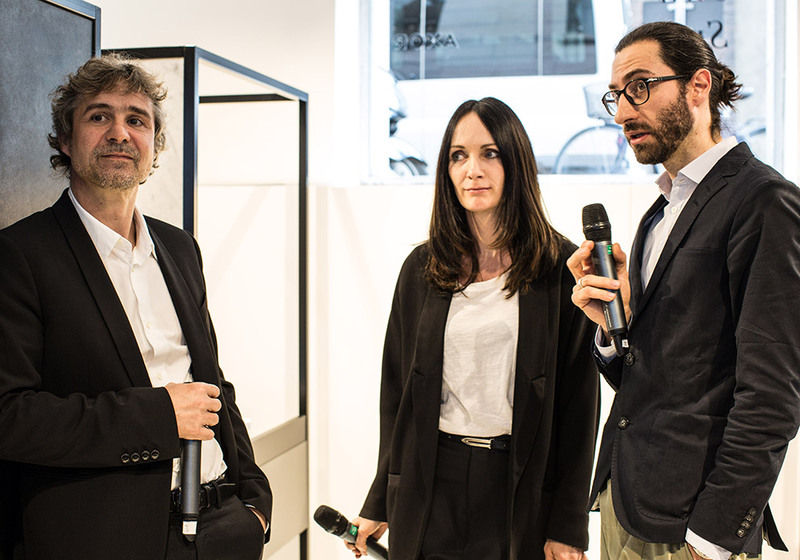 “Mixer batteries are normally a technical world in which as a designer you have no freedom at all.” Enrico Fratesi and his partner Stine Gam took the invitation as an excuse to dream and were inspired by Japanese fountains when creating a spout called “Zen”. 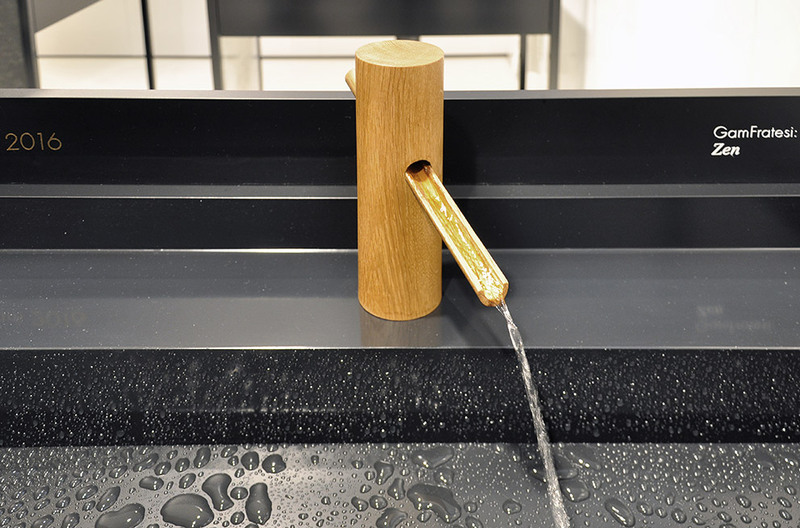 A wooden cylinder that slots onto the U-Base and conceals it, delivering the water through a thin open pipe made of wood that slots into the cylinder at an angle and from which the water pours – nothing more is needed. The water flows out very slowly and calmly, for a meditative moment at the wash basin. 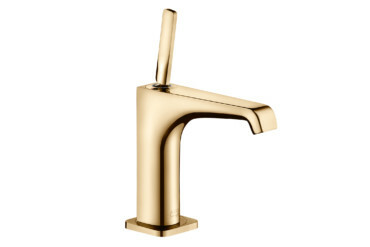 Architect David Adjaye, by contrast, opted for clear contours: His slightly wedge-shaped fitting called “Ritual” consists of bent sheet brass coated in PVD into which a block of granite has been set. The water emerges in a broad stream from beneath the stone, reaches the metal lip and falls elegantly into the basin. 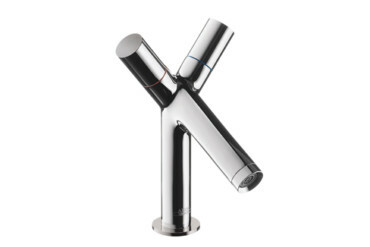 The spout can be detached – making it seem only logical to adapt the material to the respective interior. Can be adapted to many different interiors: You can choose from among different stones for David Adjaye’s design for a “Ritual”. 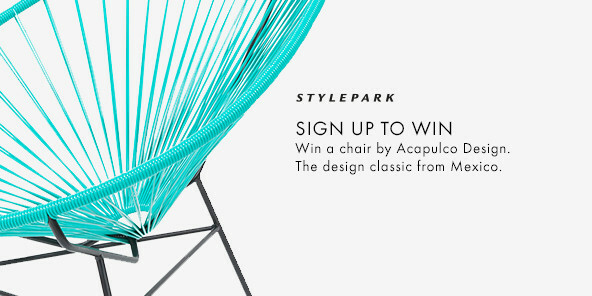 Designers Anna Lindgren and Sofia Lagerkvist at Front taclked the task playfully. Their idea of “Water Steps” consists of two plate-shaped brass bowls, one over the other. The water flows and burbles from the upper one into the lower one and then into the basin. 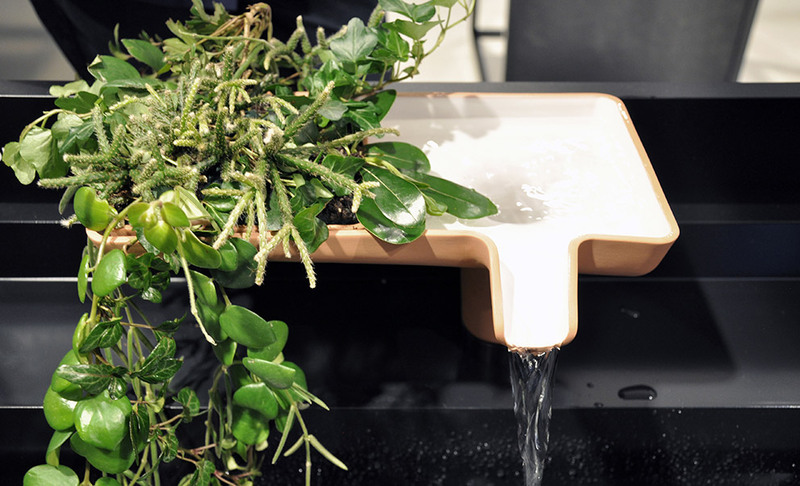 The bowls can also be rotated and titled, encouraging you to give your water flow a new face whenever you want. 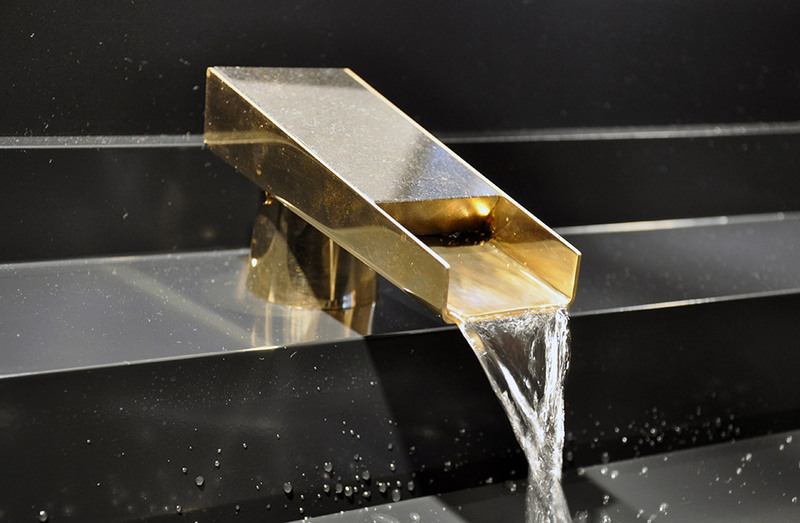 Water cascades: “Water Steps” revolves around rotatable brass bowls that turn any bathroom into a playfully burbling interior. The fifth design is the brainchild of Jean-Marie Massaud. 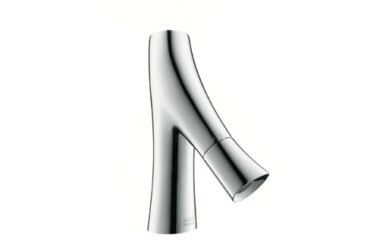 His concept “Mimicry” arose from the idea of integrating the spout into the architectural setting of the interior. Massaud stacked three panes of marble of different thicknesses and radii in a stagger. The water flows from the uppermost almost bashfully. “I didn’t want to make a product, I wanted to show the possibilities,” Massaud said. “U-Base is a revolution. You can do what you like using it. 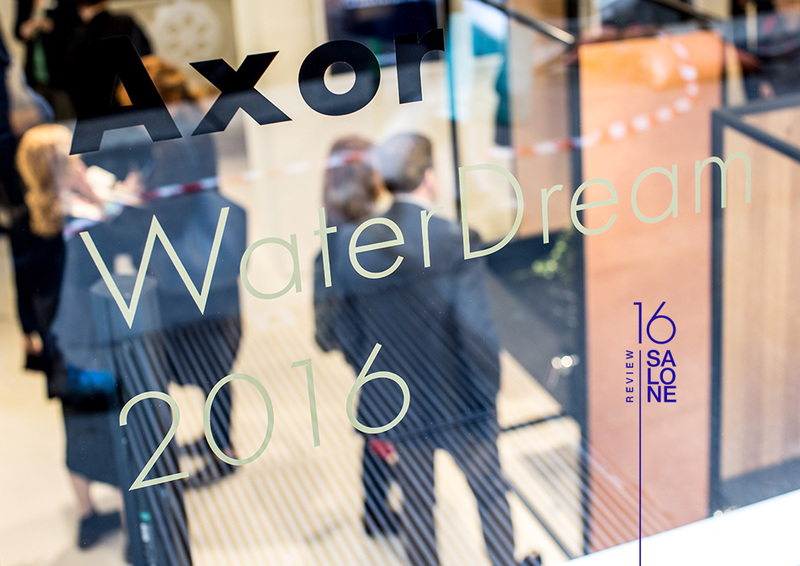 There aren’t many mixer batteries made of marble are there?” Should the dream come true, then maybe there will soon be one, in the Axor range.